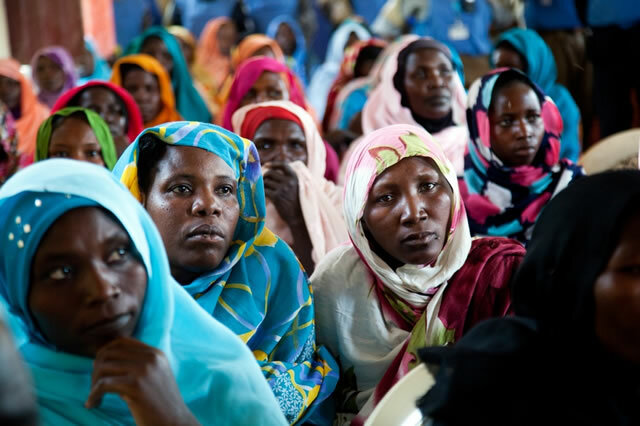 Recognising the rights of women is crucial for sustainable development. The Women Leaders’ High Level Summit on 21 June gathered women Heads of State and women leaders, and called on global leaders to accelerate actions and policies for a sustainable future. In her opening statement Ms. Michelle Bachelet, Under-Secretary General and Executive Director of UN Women said “advancing the equal rights of men and women creates healthier and more sustainable societies and economies”. She said that when women enjoy equal rights and opportunities, poverty, hunger and poor health decline and economic growth rises. Ms. Dilma Rousseff, President of the Federative Republic of Brazil, the hosts of the Rio+20 Conference, said that recognising the rights of women is crucial for sustainable development. Referring to the text of The Future Women Want: A Call to Action, Mary Robinson, President of the Foundation, said “many elements of this text are most welcome and are strong. I applaud the leadership that has been shown here. The Future Women Want states that the future we want is a ‘world that prioritizes equity, human rights and gender equality’. This echoes a climate justice approach which is grounded in human rights and strives for greater equity.” However, she also stated that there must be no backsliding from earlier important texts. Mrs. Dalia Grybauskaite, President of the Republic of Lithuania said “we have to let women around the world speak for themselves”. She called for a clear roadmap for the implementation of gender equality so that there is “not only talk, not only protest, but action from everybody”. Ms. Helle Thorning-Schmidt, Prime Minister of the Kingdom of Denmark, said one of the most critical development challenges is energy poverty in developing countries. She said that access to sustainable energy services would unleash the huge potential of women and girls, contributing to their social and economic rights. Other Heads of State and and women leaders in attendance included Ms. Tarja Halonen, former President of the Republic of Finland, Ms. Gro Harlem Brundtland, former Prime Minister of Norway, Mrs. Chinchilla Miranda, President of the Republic of Costa Rica, Mrs. Portia Simpson Miller, Prime Minister of the Commonwealth of Australia and Doris Leuthard , former President of the Swiss Confederation.